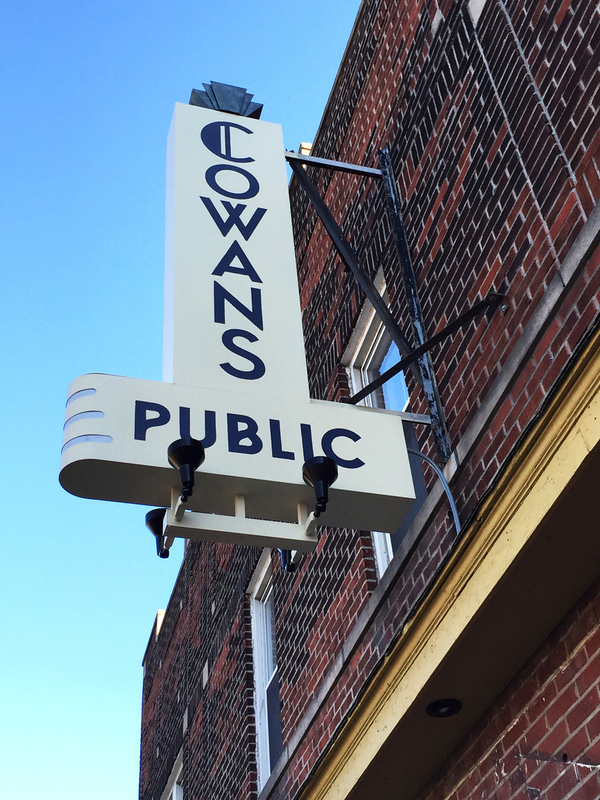 Cowan's Public is a revitalized bar and restaurant bringing craft beer, artisanal cocktails and an NYC atmosphere to New Jersey suburban residents. 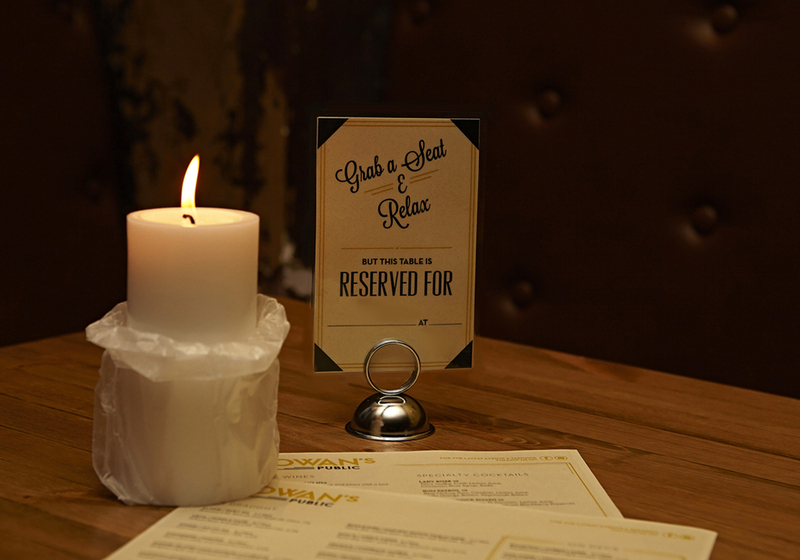 Built in the 1920s, the bars decor pays homage to its history and its identity was created with a nod to that and to appeal to its modern day audience of quality seekers. The logo was adapted to custom deco signage that’s lit up on the bars exterior. In addition to the logo, a “C” mark was created as part of the bars identity that was embossed on their business cards and hand stamped onto coasters and matchbooks. The beer menu was also accompanied by matching custom stamps that say either “just kicked” or “just tapped” on the “on deck” section, which helps to prolong the life of the menu and communicate to customers what’s no longer available and what’s coming soon. 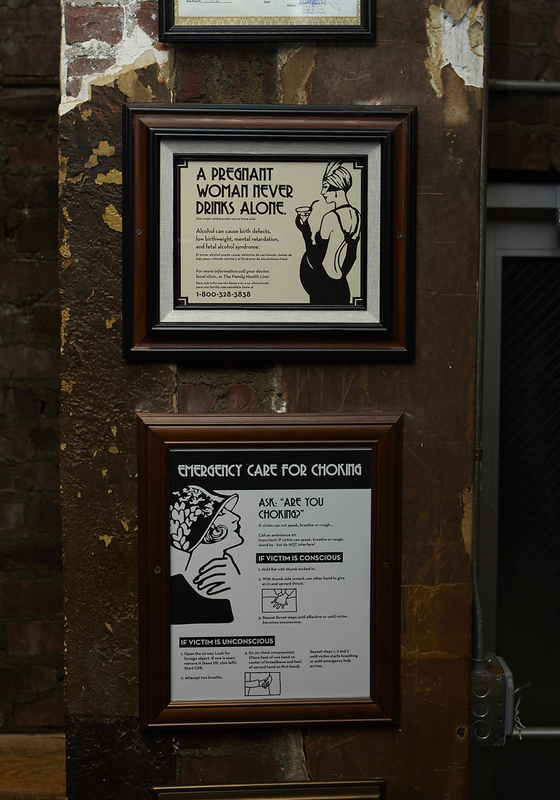 The art deco theme was carried through to the required first aid and other required public service signs. 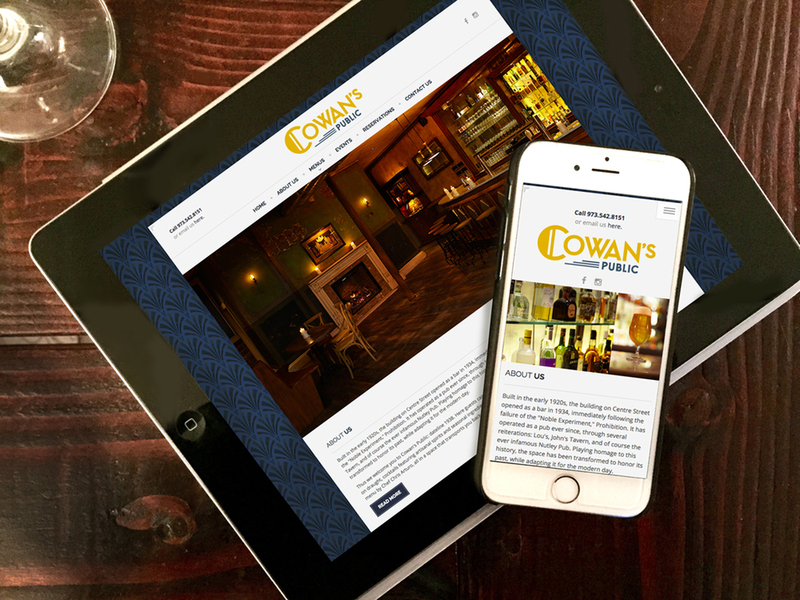 The warm feeling of the space is continued on the responsive website, with a deco stenciled background and warm candle lit photography. 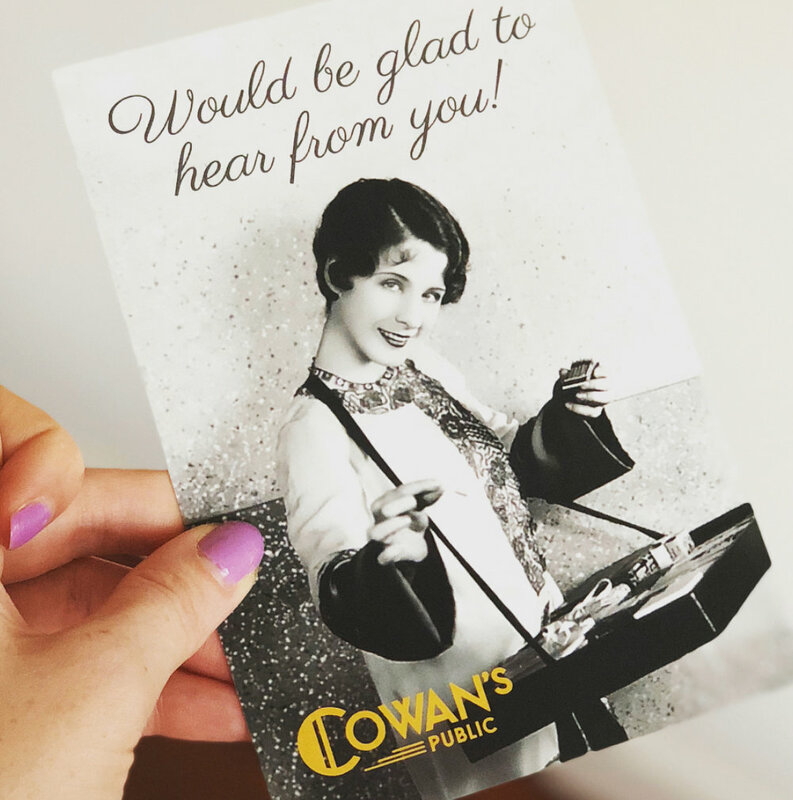 Prior to opening the bars identity, as it began to appear on social media, helped to build a lot of excitement and it continues to get much positive feedback from its patrons.